Hitoshi Sakimoto is a versatile and prolific musician known for establishing Basiscape, composing various RPG and shooter scores, and pioneering custom sound drivers. Born on February 26, 1969 in Tokyo, Sakimoto’s interest in music developed during his elementary school years when he taught himself to play the piano and electone, going on to participate in brass and rock bands. His passion further developed when he was introduced to the music of Yellow Magic Orchestra and Chick Corea, two artists that greatly influenced his musical aesthetic. Becoming a self-confessed ’computer, games, and music geek’ during his senior high school years, Sakimoto wrote for the computer magazine Oh!FM and compiled data about certain pieces of music. Even before starting to compose, he admired the pioneering game scores of Yuzo Koshiro and Miki Higashino, among others. Sakimoto was also introduced to Masaharu Iwata, a breaking game composer who went on to become his friend and long-term composing partner. At the age of 16, the artist joined his friends to develop ASCGroup’s PC-8801 Comic Market shooter Revolter. 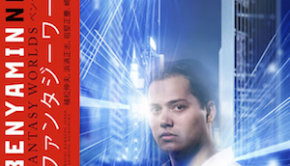 Despite having no prior experience composing his own music, he co-composed the score with Iwata and already pioneering unique sounds — as evidenced by his electronic stage themes and the bonus arrangements of themes from Dragon Spirit and Salamander. Sakimoto also created the custom FM synthesizer driver Terpsichorean to enhance the sound quality of the score; the driver became regarded as one of the best of its kind, unparalleled by the standard drivers used by most major companies at the time. In the late 80s, Sakimoto was intent on pursuing a career a video game programmer. But both his compositions and sound driver on Revolter received such praise that he considered becoming a game composer, with Iwata particularly encouraging his involvement in the field. He was asked to reprise one of his compositions on Daisenryaku, before programming the soundtracks for Stone of Deigani and The Witch of Barbatus. Going on to score Scaptrust’s Starship Rendezvous and Artec’s King Breeder with Iwata in 1990, Sakimoto provided two representative examples of the Terpsichore sound. By the early 1990s, many people in the games industry were familiar with Hitoshi Sakimoto’s pseudonym ’Ymoh.S’ due to the impression the Terpsichorean driver made. He was recruited by a wide range of companies to sound program, install custom drivers, and create sound effects on technologically compromised platforms such as the Genesis, Game Boy, and PC-9801. His many projects spanned the whimsical Dragon Master Silk to the grandiose Dragonlance titles, from F1 Super Driving to King Salmon. Through meticulous arrangement and programming, the artist also preserved the tone of classic scores such as Eye of the Beholder, Midnight Resistance, and Crude Buster for their console ports. He was also responsible for adapting music from a range of movies and other licensed properties, including Little Mermaid, Aliens vs. Predator, Power Rangers, and Captain America. A further early assignment was Master of Monsters, which facilitated his introduction to Hayato Matsuo and Koichi Sugiyama, and led to his first album release. While working on such high-profile programming projects, Sakimoto also continued to pursue a range of composition works. Working as a solo composer for the first time on Bubble Ghost and Bad Omen, the artist produced surprisingly ambitious, dense sounds on 8-bit portable consoles. In collaboration with Iwata and Yoshio Furukawa, the artist went on to work on the popular graphic content games Metal Orange, Carat, and Chip-Chan Kick!, as well as an action-packed contemporary score for the shooter Verytex. At request from Iwata, Sakimoto worked with Quest for the first time on 1991’s Magical Chase in 1991. Its famous score matched the light-hearted image of the game with its high-speed arpeggios and distinctive slapped basslines; thanks to Sakimoto’s programming, it also featured the most technologically commanded use of the TurboGrafx-16’s synth. Making further technical advances, the artist flirted with an orchestral style for the first time on King Breeder, Gauntlet, and Super Back to the Future II. The artist refined his symphonic sound by co-composing the hit strategy game Ogre Battle: March of the Black Queen alongside Iwata and Matsuo. The project designer’s Yasumi Matsuno constantly provided feedback and advice to help produce colourful and sophisticated MIDI orchestrations. Throughout his early career, Sakimoto also appeared on several Synergy Record and Troubadour Record albums, collaborative non-game projects featuring musicians such as Yuzo Koshiro, Takayuki Aihara, Motoaki Takenouchi, and Sakimoto’s drinking buddy Shinji Hosoe, which provided excellent opportunities for him to create diverse refined compositions. Sakimoto remained in great demand in the field of sound manipulation as the 16-bit era drew to a close. His assignments remained as diverse as ever, encompassing action, racing, sports, and simulation titles. He was even invited to program the scores for several hit series, including Super Double Dragon, Kyuuyaku Megami Tensei, Super Bomberman: Panic Bomber World, Gunstar Heroes, and Panzer Dragoon Mini. Having earlier impressed Koichi Sugiyama with his work on Master of Monsters, he was also personally invited to implement the scores for Dragon Quest VI and Dragon Quest III’s Super Nintendo remake — regarded as the upper echelon of game music production at the time. Sakimoto also remained Matsuo’s programmer of choice on titles such as Classic Road, its sequel, and Super Hockey ’94. Also continuing to develop as a composer, Sakimoto’s subsequent productions included the traditional fantasy score for Moldorian, the light-hearted sounds of Chip-Chan Kick!! and Dragon Master Silk II, and the funk-based in-game soundtrack and arranged album for Sword Maniac. Together with Iwata, Sakimoto created one of the Terpsichore’s last defining scores for the Eighting / Raizing shooter Shippu Mahou Daisakusen. He also enjoyed popular exposure for his compositions on Tactics Ogre: Let Us Cling Together. The score retained the idiom of the Ogre series, but was altogether more emotive, intricate, and grand than its predecessors. The first two Ogre scores received soundtrack releases, complete with original and MIDI versions, and were also interpreted in an orchestral album arranged by Matatsugu Shinozaki and an image album in which Sakimoto crafted his first vocal theme. In 1996, Sakimoto single-handedly scored Eighting / Raizing’s shooter Terra Diver (aka Soukyuugurentai) for arcades. The artist offered various innovations on the soundtrack, writing a range of electro-orchestral hybrids and a percussive main theme. Inspired by his experiences on Super Back to the Future 2 and Dragon Quest VI, Sakimoto extensively incorporated a leitmotif to define the entire score. Such approaches have since become a staple of the artist’s soundtracks. In smaller roles, Sakimoto went on to supplement the action-packed soundtrack for Bloody Roar and offer seven mature orchestral compositions on Treasure Hunter G. Sakimoto spent six months of the subsequent year co-composing Final Fantasy Tactics, reuniting with Yasumi Matsuno after he formed a development team at Square. Sakimoto took the leading role, responsible for the majority of the cinematic underscoring, battle themes, and character portraiture, as well as two recurring melodies. Having already worked with the PlayStation’s hardware on his programming projects, Sakimoto realised there was plenty of room to experiment and expand his style. As a consequence, he offered numerous harmonically exuberant orchestral cues and thunderously punctuated action themes that appealed for their lush and unconventional musicality, while fluidly fitting with the game’s scenarios. The score was responsible for his popular exposure in the West and propelled him on to even bigger collaborations. During the same period, Sakimoto made guest contributions to Cho-Aniki Show 2, Melody of Legend ~ Chapter of Love, and Ten Plants. Following Terra Diver and Final Fantasy Tactics, Sakimoto further explored his versatility with several prominent scores. In 1998, he scored Treasure’s Radiant Silvergun for the Arcade and Saturn. The unrelenting symphonic score impacted on listeners to emphasise the energy and challenge of the vertical scrolling shooter. Once again, Sakimoto used an overriding motif throughout the score that emphasised a sense of ascension and repetition. This time, he created a psychological impact by obsessively using the motif in all but one of the score’s sixteen pieces — generally presented on brass in conjunction with thunderous orchestration. The artist worked with Eighting once again by co-composing Armed Police Batrider for arcades and arranging Battle Garegga for the Saturn, strengthening his relationship with composer Manabu Namiki. By the end of 1998, Sakimoto became a resident employee of Square’s fourth development team and later Nobuo Uematsu’s short-lived sound production subsidiary Square Sounds in order to score Matsuno’s epic Vagrant Story. The score received great praise for how it enhanced the game: dungeons were individualised with moody and fantastical ambience, boss encounters were accompanied by percussive furore, and cutscenes were underscored by subtle and evocative cues. Sakimoto’s music also endeared on a stand-alone level, full of idiosyncracies and intricacies that made it unparalleled for its time and, in many people’s eyes, his greatest masterpiece. His 18 month absence during its development prevented him from contributing to Ogre Battle 64: Person of Lordly Caliber; his compositions were reprised, but all original creations were made by Hayato Matsuo and Masaharu Iwata. By the turn of the century, Sakimoto had emerged as one of the most in-demand composers in the industry. His talents as a sound manipulator were still sought on a number of projects, for instance The Pinball of the Dead, Virtual Gallop, and Traffic Confusion, but he dedicated the majority of his time to creating fresh new game scores. Going on to compose the majority of Sony’s Legaia 2: Duel Saga in 2001, Sakimoto was keen to explore the possibilities offered by the PlayStation 2. Joined by his close friend Yasunori Mitsuda and Michiru Oshima, he reflected a new facet of his musicality by blending acoustic instruments from across the world into compositions inspired by rich imagery of the game. The same year, he created a range of energetic, militaristic anthems for the flight simulator Kuusen, co-composed the electrifying soundtrack for Tekken Advance, and shadowed Iwata throughout Tactics Ogre: The Knight of Lodis, none of which received soundtrack releases. Subsequently, Sakimoto begun composing the score of Capcom’s Breath of Fire V: Dragon Quarter, programmed by Yasunori Mitsuda’s Procyon Studio employees. The composer’s most outwardly diverse work to date, it blended orchestral, electronic, ambient, and exotic textures to portray the various facets of the game. Cultivating his relationship with Dragon Silk Master developer Gimmick House, he created a range of whimsical pieces and Baroque imitations on this title, with assistance from SuperSweep’s Shinji Hosoe and Ayako Saso. Inspired by seeing Procyon Studio and SuperSweep in action, Sakimoto started to consider starting his own music studio. This ultimately led to the biggest turning point in his career. After two years of planning, Hitoshi Sakimoto established the independent music production company Basiscape on October 4, 2002. Sakimoto convinced his long-term friends and collaborators Masaharu Iwata and Manabu Namiki to join him, realising they would make a powerhouse team. For the three artists involved, Basiscape would allow them to participate in their own individual projects, while receiving an increase in exposure and prolificacy. Taking the role of president and lead composer, Sakimoto constantly balanced administrative responsibilities with a tight composition schedule throughout the early days of the company. Under his lead, Basiscape soon gained a reputation for being a reliable and versatile company through a myriad of major and minor projects. The company was sought for the RPGs of Square Enix (Final Fantasy Tactics Advance, Fantasy Earth, Children of Mana), shooters of Cave (DoDonPachi Dai-Ou-Jou, ESPGaluda II, Mushihimesama), and the licensed fighting games of Eighting / Raizing (BLEACH Heat the Soul series, Battle Stadium D.O.N, Fullmetal Alchemist: Dream Carnival, Zoids: Full Metal Crush). To sustain such demand, the company took on composers Mitsuhiro Kaneda and Kimihiro Abe, sound manipulator Masaaki Kaneko, and administrator Miki Ito. The team’s many other projects included Metal Slug 6, Wizardry Gaiden: Prisoners of the Battles, Digimon Savers: Another Mission, a series of mobile ports, and the Sega Ages 2500 series. Sakimoto and his colleagues also offered diverse and creative arrangements for the collaborative arranged albums, including the Basiscape-led productions Stella Deus BGM ReArrange Album, Hyper Street Fighter II Remix Tracks, and Darius Remix. During the first two years Basiscape’s existence, Sakimoto continued to focus on several major scores. After completing his work on Breath of Fire V: Dragon Quarter and Perfect Prince, he reunited with Yasumi Matsuno’s development team on Final Fantasy Tactics Advance. Here, he overcame the technological restrictions of the Game Boy Advance to produce a gorgeously orchestrated, sweepingly lyrical score that defined the youthful, adventurous nature of the game. 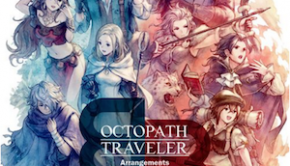 The popular game spawned a soundtrack release featuring two sound versions, the relaxing arranged album White Melodies of Final Fantasy Tactics Advance, and a four volume radio drama series. Exploring more serious territories on Atlus’ strategy RPG Stella Deus: The Gate of Eternity, Sakimoto produced his first major score alongside Iwata since Final Fantasy Tactics. It featured a wide spectrum of mature and rich orchestral colour and was capped off by the Sakimoto’s first in-game vocal theme, “Holy Spirit”. Due to the success of Radiant Silvergun, Treasure employed Sakimoto once again to score the Konami-published Gradius V in 2004. 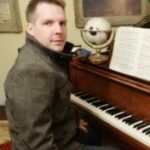 The composer felt proud to be able to score a title in a series that influenced him to become a game musician. Aside a few arrangements, he nevertheless chose to largely disregard the music in previous titles, since he was hesistant to emulate a style that betrays his own. Instead, the score mostly featured energetic electronica, supported by thunderous percussion and sweeping orchestration, in contrast other popular items in Sakimoto’s discography. 2006 brought Sakimoto’s intended magnum opus, his symphonic score for Square Enix’s long-awaited Final Fantasy XII. Showcasing the composer’s music at its most lavish, much of the score was texturally thick, harmonically sumptuous, and relentlessly percussive. The composer focused on creating themes to accompany the numerous locations of Ivalice, especially its monster-infested vast landscapes and deep caverns; as these tracks needed to simultaneously convey the exploration of fields and the breakout into real-time battles, he created extensively developed pieces that alternated between energetic and more relaxed passages. The artist portrayed the game’s politically charged storyline with numerous cinematic cues and also integrated several central motifs through the score to contrast the courage of the central protagonists with the wrath of the Archadian Empire. Though he was forced to significantly downgrade his original pieces to meet the hardware’s specifications, he still enjoyed recording the opening and ending themes with full orchestra. Sakimoto replaced the long-term composer of the Final Fantasy on the title and, even with the obligatory appearance of a Nobuo Uematsu ballad, the title proved a massive diversion from the numbered series. Nevertheless, the score generated widespread acclaim from gamers and its four disc soundtrack release has also emerged as the best-selling item in Sakimoto’s discography. The music has since been reprised on numerous games (e.g. Dissidia: Final Fantasy, Final Fantasy XII: Revenant Wings), celebrated on several albums (e.g. SQ Chips, Final Fantasy XII Piano Collections), and featured on the Distant Worlds concert tour. While working on Final Fantasy XII, Sakimoto also produced his first full-length original album. Keen to create more vocal music following the success of Stella Deus, he created the uplifting album Colors of Life with singer Lia, mixing soothing electronica with more exotic tones. He also started to make his entrance in the competitive field of anime soundtracks, writing a special ending theme for the anime series Kaleido Star and producing a special drama album dedicated to Gunslinger Girl: Il Teatrino. At request from Studio Gonzo, Sakimoto went on to create his first full-length anime score for Romeo x Juliet, a fantasy animation loosely based on Shakespeare’s romantic tragedy. While the artist’s musicality didn’t significantly change, the tone of the music did since he focused on creating music to accompany cinematic drama and love scenes for the first time. For the first time in his career, Sakimoto also recorded the score with full orchestra in Australia. Sakimoto went on to score two seasons of Studio Gonzo’s game-to-anime adaptation The Tower of Druaga: The Aegis of Uruk, creating a humorous score exhibiting significant RPG influence, which was also recorded with the Eminence Symphony Orchestra. Sakimoto attended Eminence’s performances of his game and anime music at several concerts, namely A Night in Fantasia 2007, Otakon 2007, Passion, and Destiny: Reunion. In further concert appearances, his score for Stella Deus was performed at PLAY! A Video Game Symphony in Detroit and he DJed at the Extra: Hyper Game Music Event with a remix of Soukyuugurentai’s “Above Satellite Orbit” at the Extra: Hyper Game Music Event 2007. Following the attention generated by Final Fantasy XII and Romeo X Juliet, Sakimoto expanded Basiscape to become the most successful video game music production company in Japan. He introduced new composers Noriyuki Kamikura, Yoshimi Kudo, and Azusa Chiba to increase the company’s productivity and versatility in the field of composition and arrangement. In addition, he appointed new employees to relieve him of his administrative responsibilities and expand the company’s capacity for sound programming, sound effects design, and voice editing. While Sakimoto and Namiki remained self-sustaining projects that led major projects of their own, the company’s other artists primarily supplemented these scores or handled lower-profile projects. While this production process was contrary to the company’s original purpose, Sakimoto still provided the freedom for his employees to scout their own projects and grow as musicians. 2007’s Grim Grimoire and Odin Sphere particularly demonstrated Basiscape’s collaborative production process. Despite having a small budget to work with, the company were able to handle all aspects of sound production for these titles on behalf of developer Vanillaware. Sakimoto was recruited to score these titles, having impressed company president George Kamitani for his artistic integrity on a previous project they worked on together. Despite being publicised as the composer of the game, he ultimately ended up creating the main themes and several other tracks for these scores, while secondary Basiscape members handled the rest of the music under his supervision. The co-composers were largely free to experiment and express individuality, yielding an functional orchestral accompaniment to Grim Grimoire and a diverse emotional score for Odin Sphere. Since 2007, Sakimoto has carefully balanced supervising collaborative projects with his own major scores. The artist was delighted to finally collaborate with Final Fantasy creator Hironobu Sakaguchi — an obsessive collector of his soundtracks — on Mistwalker’s A.S.H. -Archaic Sealed Soul-. Another joint soundtrack by Sakimoto and Iwata, the tense, aggressive themes of this title matched the tactical gameplay, while the light, spiritual, and heroic interludes fleshed out the game’s storyline. The artist also reunited with the Ivalice Alliance team on Final Fantasy Tactics A2: Grimoire of the Rift, persevering to produce light-hearted original compositions with expertly implemented reprises. He further explored his lighter sound while matching the narrative of the book adaptations Deltora Quest: The Seven Jewels and The Wizard of Oz: The Yellow Brick Road. The artist also demonstrated the collective talents of Basiscape by directing the soundtracks for Opoona and Muramasa: The Demon Blade for the Wii. Once again, Sakimoto established the identities of these scores by creating promotion-worthy main themes with distinct melodies and timbral colours. Whereas Opoona conveyed a warm, humorous mood by blending acoustic performances and electronic samples, Muramasa was darker with its fusion of traditional Japanese instruments and Western elements. Both projects demanded excellent musicianship and teamwork from the supporting composers, and Sakimoto continually provided feedback to bring out the best from them. The artist also contributed atmospheric main themes to Elminage, Coded Soul, and The Tower of Druaga: The Recovery of Babylim, as well as sentimental theme songs for L no Kisetsu 2 and the drama production Tamiuta. In 2008, Sakimoto established his involvement in a new franchise with Sega’s Valkyria Chronicles. Aiming to give his works wider appeal, the score featured a stronger Hollywood influence, but still retained his signature musicality. His militaristic compositions supported the World War II theme of the game, while his softer tracks emphasised the romantic storyline. 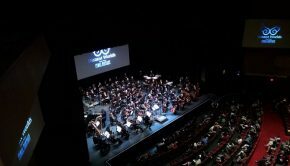 The title was his most lavishly produced game score at that point, taking full advantage of the PlayStation 3’s specifications by streaming performances from the Eminence Symphony Orchestra. The artist returned to score the title’s follow-ups, maintaining the concept and quality of the original title’s score, while emphasising the lighter narrative of the second game and the more desolate feel of the third game. His services were also requested for the animated version, which featured a range of orchestral cues that matched a range of circumstances. The artist went on produce epic orchestral cinematics for the doujin anime Iron Vendetta, incorporate cool contemporary stylings throughout the cel-shaded film Colors, and even write a track for the R-Mix play Maoutensyou. While these projects received little attention, Sakimoto still enjoyed working with their designers and ensured his contributions still maintained the Basiscape seal of quality. Also asked to produce spectacular tracks for several recently released MMORPGs, the artist created lavish orchestrations for Arcadia Saga and recorded two heroic theme songs for The Key of Avalon Online with Chiaki Takahashi. After much popular demand, Hitoshi Sakimoto established the personal label Basiscape Records in 2009. With support from distributor SuperSweep, Sakimoto has released the soundtracks for a range of projects, among them Valkyria Chronicles series, Opoona, and Tekken: Blood Vengeance. The label also revisited several defining projects with classic soundtrack reprints, the Muramasa -The Demon Blade- Arrange Album, and the Valkyria Chronicles Piano Pieces. Sakimoto has revisited further classic projects by overseeing the symphonic recordings of the remake Tactics Ogre: Wheel of Fortune and Casey Ormond’s arrangement of the Final Fantasy XII Piano Collections. Nevertheless, Sakimoto has continued to explore novel musical directions in several new projects. 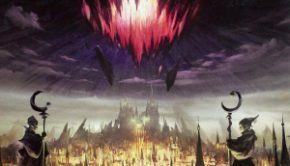 In 2010, Sakimoto created an unprecedented score for Lord of Vermilion II — filling arcades with booming fusions of orchestral and rock elements, all rendered in top-notch quality. He expanded upon these concepts further in the action-packed animated film Tekken: Blood Vengeance, aiming to leave an impression on viewers around the world. Among other recent roles, he has stirred the imaginations of those that read the tabletop RPG session Red Dragon by incorporating traditional Celtic and Japanese influences into his music. He also surprised with unique and entertaining guest contributions for the collaborative projects Tekken 6, Orgarhythm, and Rockman 25th Anniversary Rock Arrange Version. He also helped to raise funds for the Tohoku Earthquake relief effort with the charity EP Oto Gift. Basiscape have been involved in somewhat fewer projects in recent years and have suffered from the prominent departures of Namiki, Kamikura, and Abe. Nevertheless, the company continues to be sought after on a wide range of titles — some directed by Sakimoto himself, others giving an opportunity for his juniors to step up to lead roles. Beyond his high-profile anime and video game works, Sakimoto has led the scores for a number of fringe titles, for example Harlequin Selection, Rikishi: Legend of Paper Wrestling, and The Denpa Men. Many of these titles have shown a light-hearted side to the artist’s character that has rarely comes across in his other projects. The Denpa Men emerged as particularly successful and inspired a sequel, both titles featuring particularly silly main themes from Sakimoto. The artist has also reunited with legendary game producers Hironobu Sakaguchi and Yasumi Matsuno on two new projects, the traditional RPG Crimson Shroud and the iOS tower defence title Blade Guardian. Despite the low-key nature of such titles, Sakimoto still produced bold orchestral scores in line with his biggest works. Sakimoto will next lead the company on Demon’s Crown, the latest project from Vanillaware. He is also scheduled to celebrate the 10th Anniversary of Basiscape with a special appearance at the DeepCrystal 3rd Live event. Sakimoto’s achievements over his long career continue to place him and Basiscape at the forefront of the games industry.